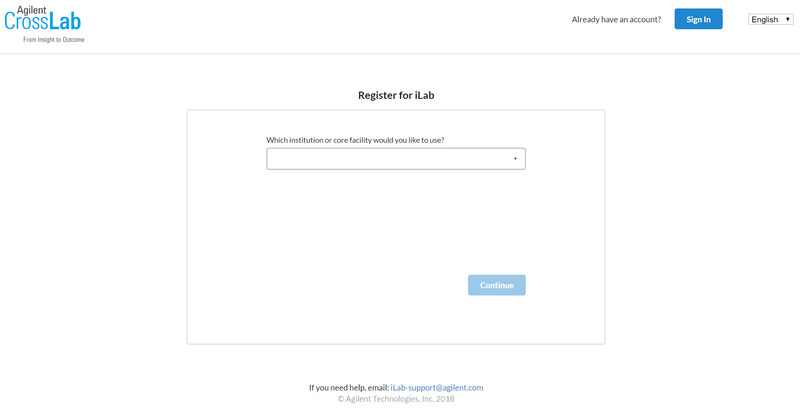 In iLab, there are two ways to register. The most common is to receive a registration link from the specific core you are looking to access. The second way is through a generic sign up link. Accessing the specific URL given to you by the core facility will bring you to the external landing page of the core. 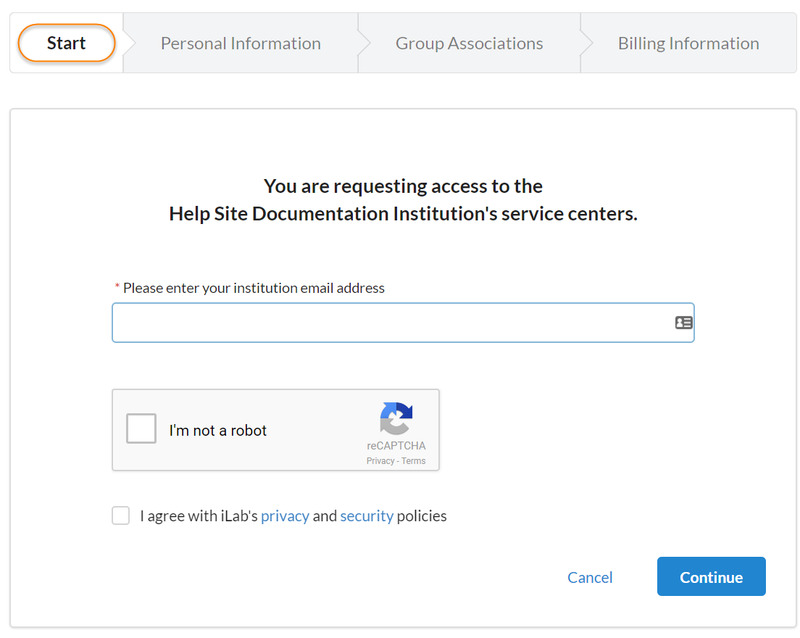 Once you click 'Register', it will bring you to the first step of the Registration interface, where you enter your e-mail address, verify the CAPTCHA requirement and agree to iLab's privacy and security policies. Once authenticated, you will choose the PI that you work with and your PI or your institution's administrator will be notified for approval. Once approved you will receive access to iLab and the site you wish to utilize. In instances where you have not been given a specific URL, you may register using one of the following urls. 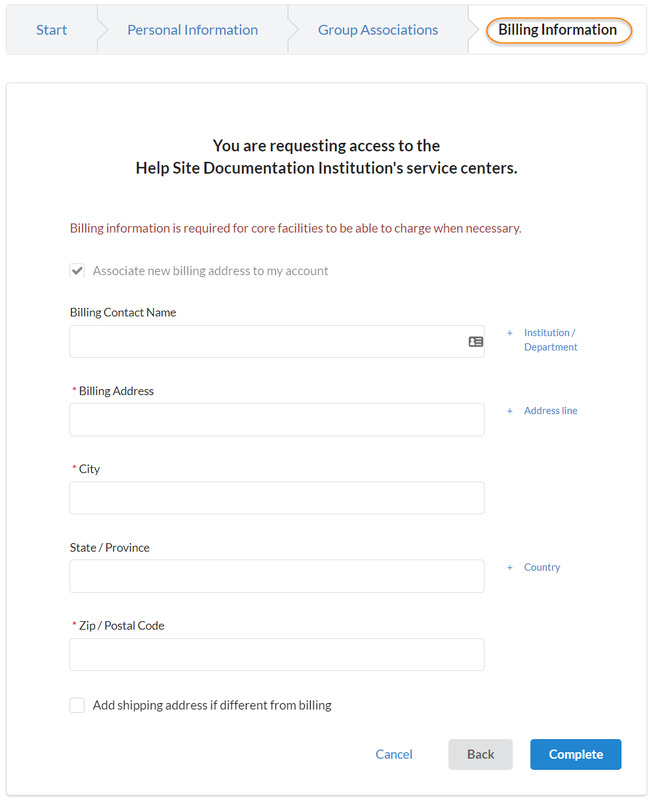 You will be asked to indicate the iLab institution that you are registering for and will then be directed to finish the registration starting with providing your email and moving through the steps of the registration wizard below. 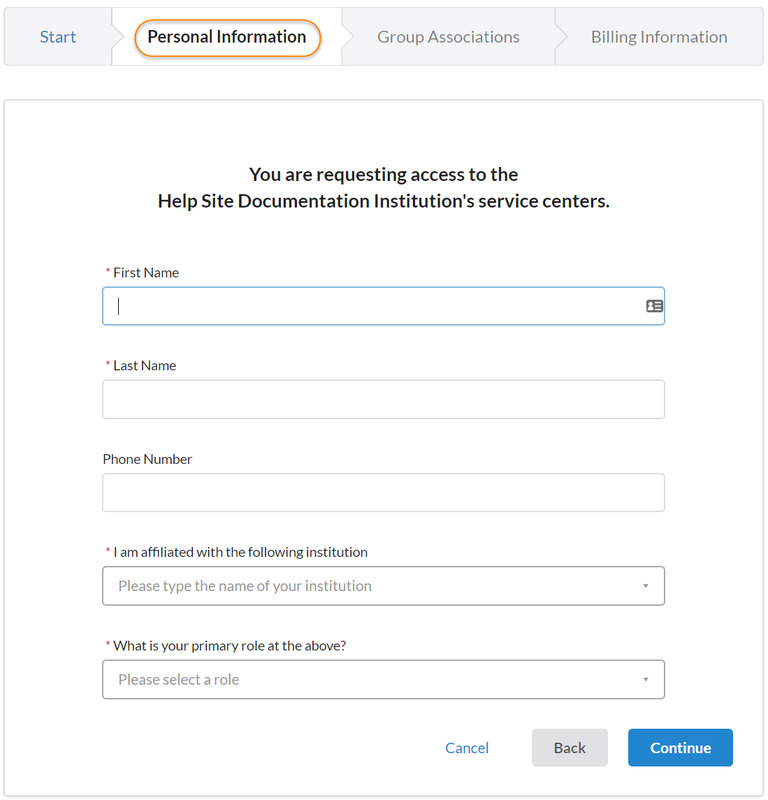 The second step of the process requires you to complete your personal information. The institution field may be pre-populated based on the e-mail address, but this selection can be overridden. 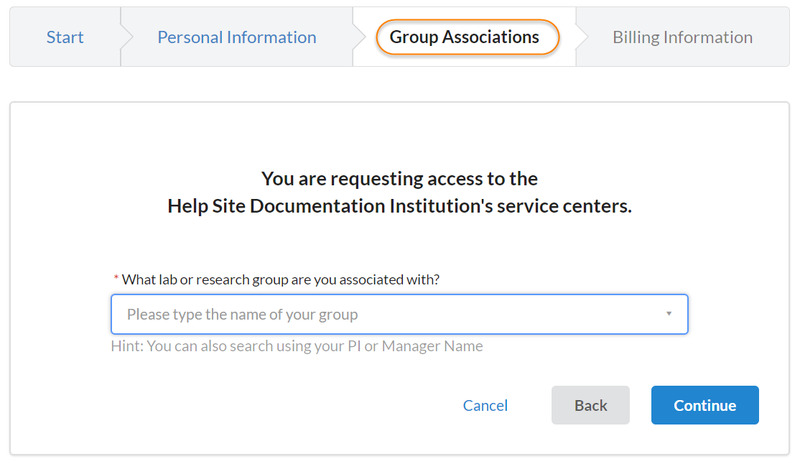 The third step prompts you to indicate the Lab/Group you are associated with. You may enter the group name, PI name, or financial approver and the system will search for a group matching that information. If there is no existing Lab/Group, you can use "Create New Group" to create a new Lab/Group. If these conditions are not met, your registration will be manually reviewed and account creation (or rejection) may take up to 24 hours.